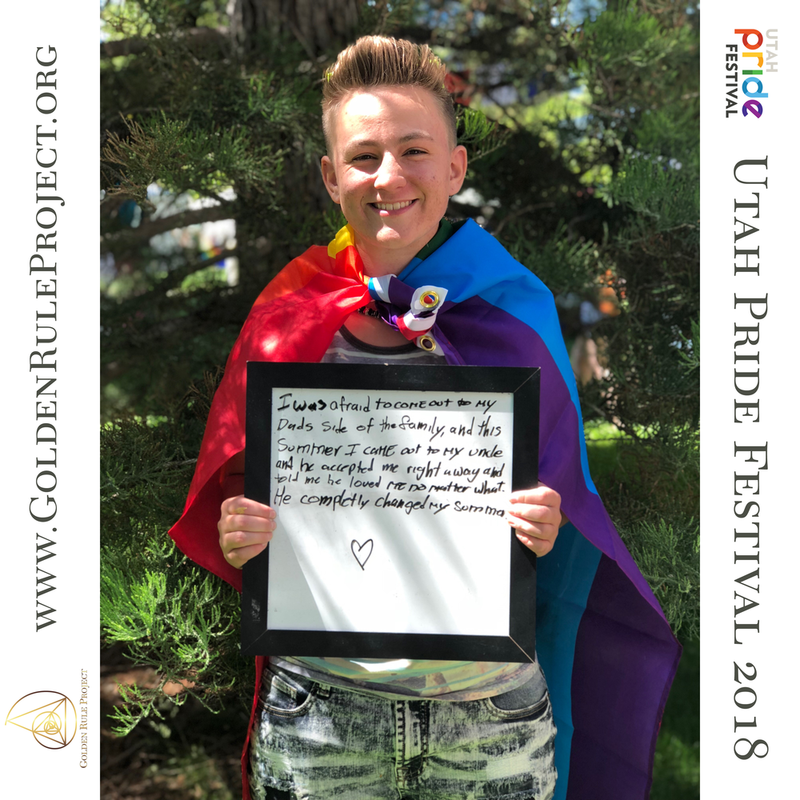 It's your favorite (and only) Project Coordinator for Golden Rule Project here to tell you about our Utah Pride Festival 2018 experience. 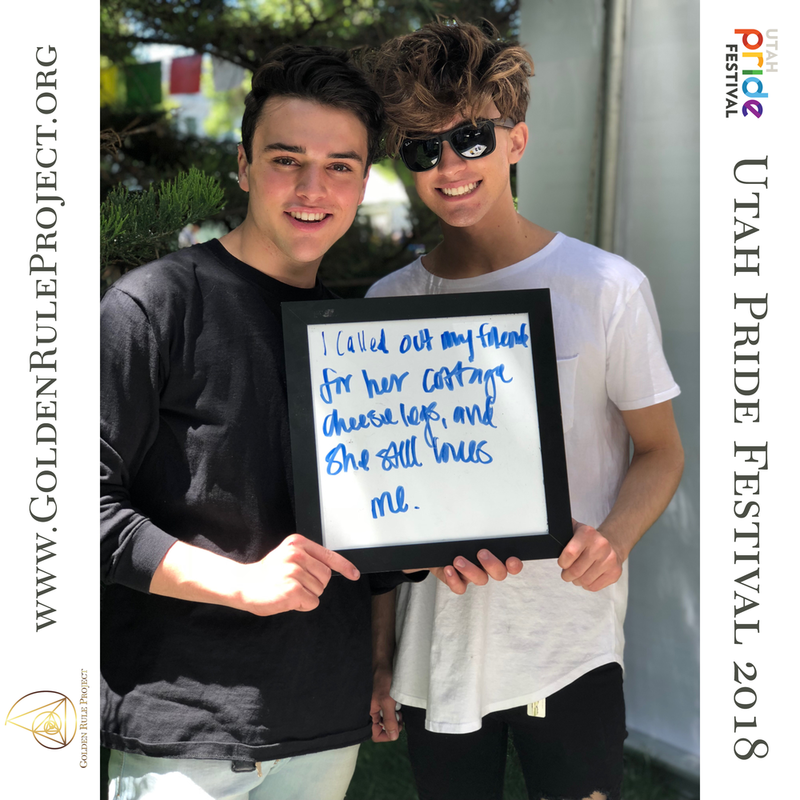 Pride weekend has got to be one of my favorite weekends in Salt Lake City, Utah. There's this energy in the air that manifests love, acceptance, and excitement from everyone in the city. 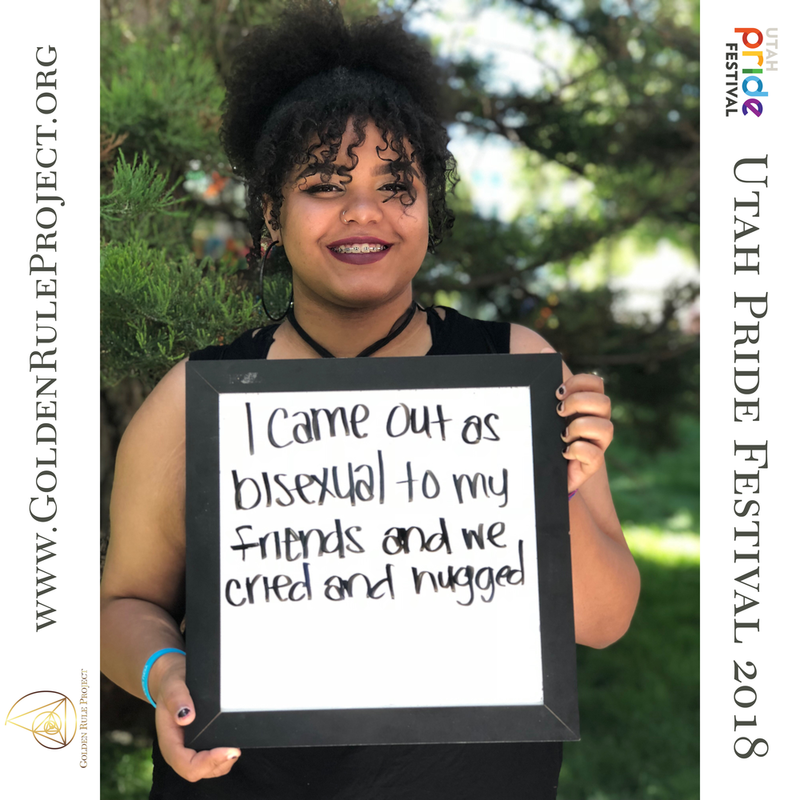 Everyone feels vibrant and happy seeing how many people from all different backgrounds come to celebrate together a community that throughout history has been neglected but becoming stronger and proud of being who they (we) are as time passes by. We had a blast at our booth! 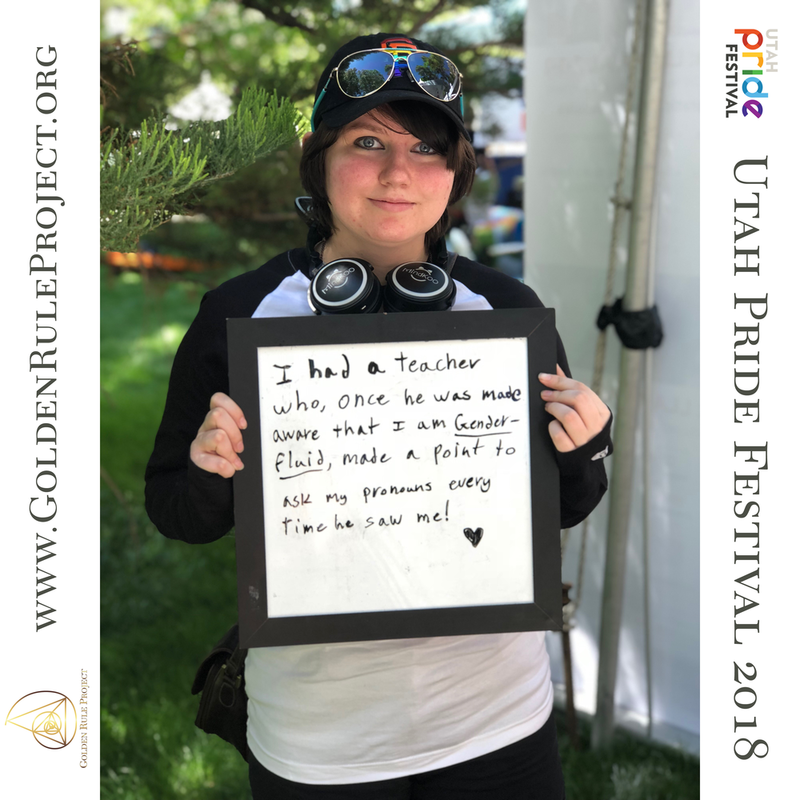 Over 100 people signed our Pledge to live by the Golden Rule. In case you don't know about our pledge, you can head over, learn, and sign our Pledge here. 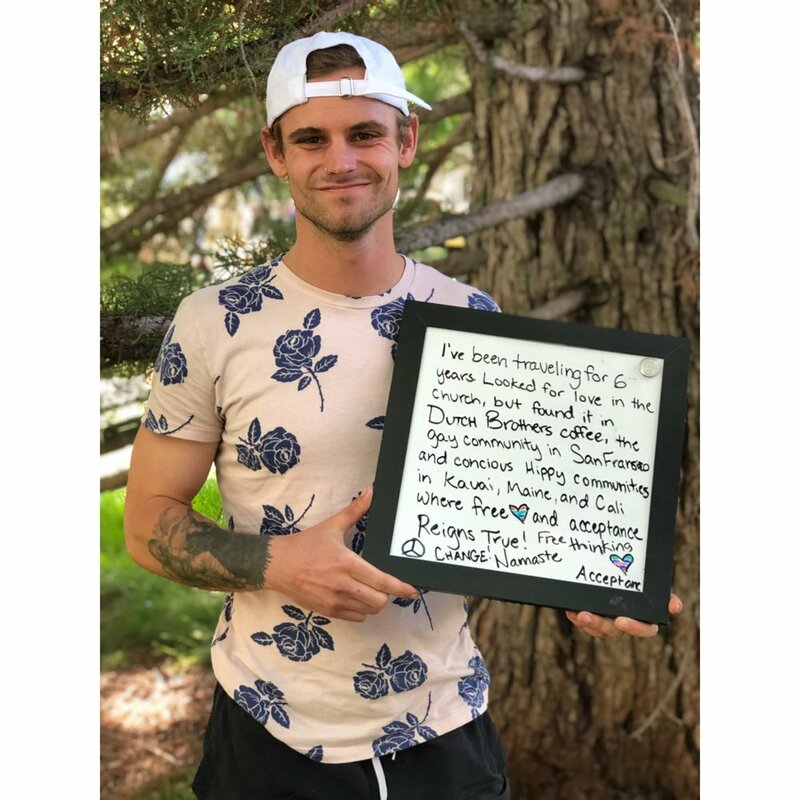 I encourage everyone to sign it. It's about creating a silent movement, to show that we care about living kindly and respecting and embracing our neighbor. We can show that strength in our community by adding our name to the list of those signing. Our voices can be powerful when we act collectively. We had a new activity in our booth this year. 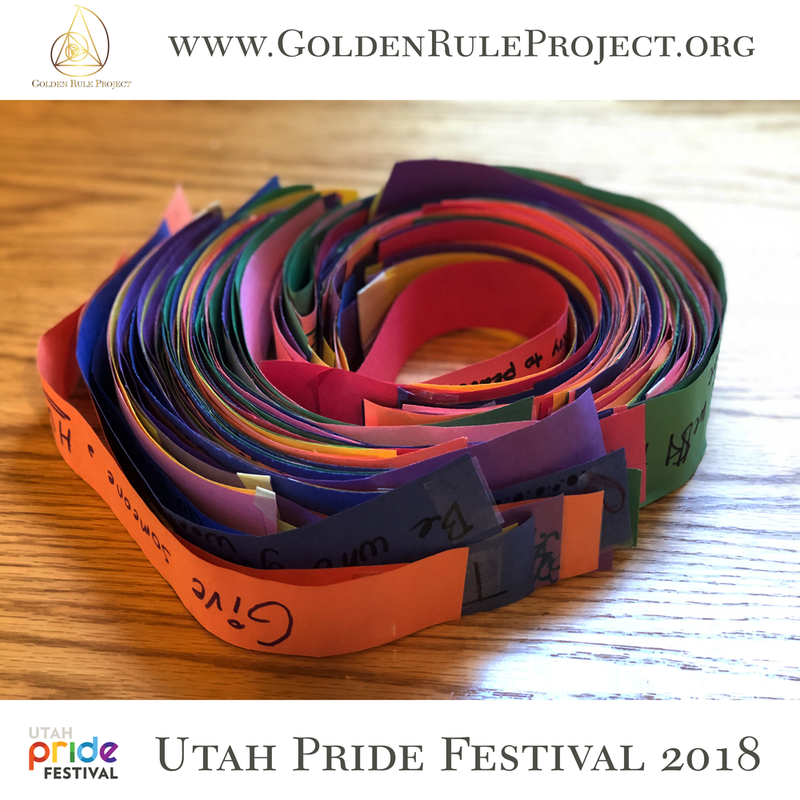 We were able to experience kindness in action by letting people write an act of kindness they wanted to perform that day in a piece of paper that later became part of our Kindness Chain. Everyone wrote their own act of kindness, becoming accountable to themselves to do such act. It was a very fun, quick way to spread kindness on festival grounds. The most powerful activity of our weekend (at least to me) was collecting stories of Acceptance. 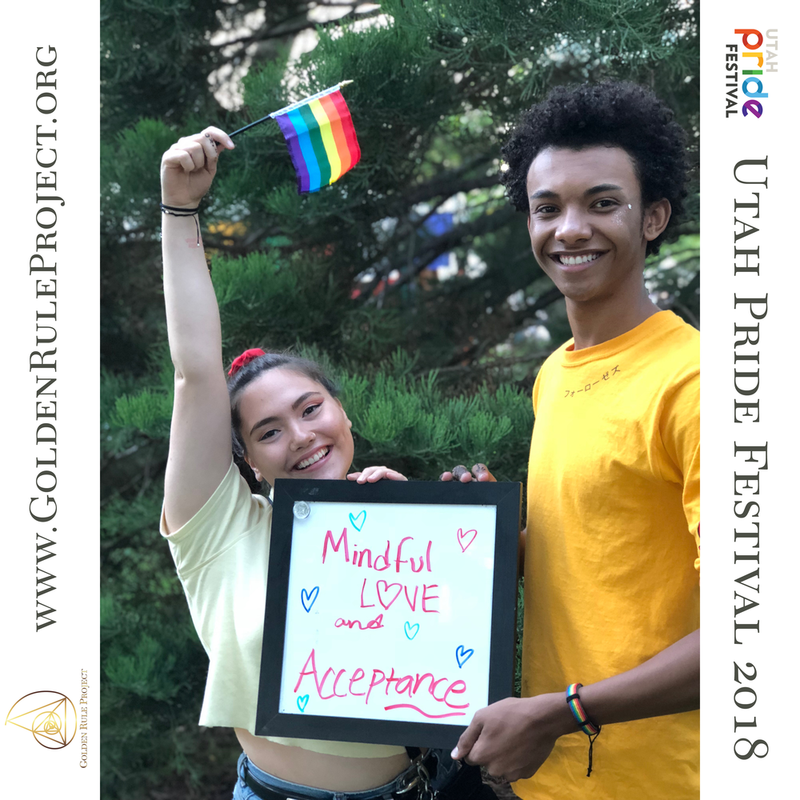 The Pride concept, in my opinion, is about acceptance of who you(we) are, celebrating and embracing our differences without prejudice or judgment. 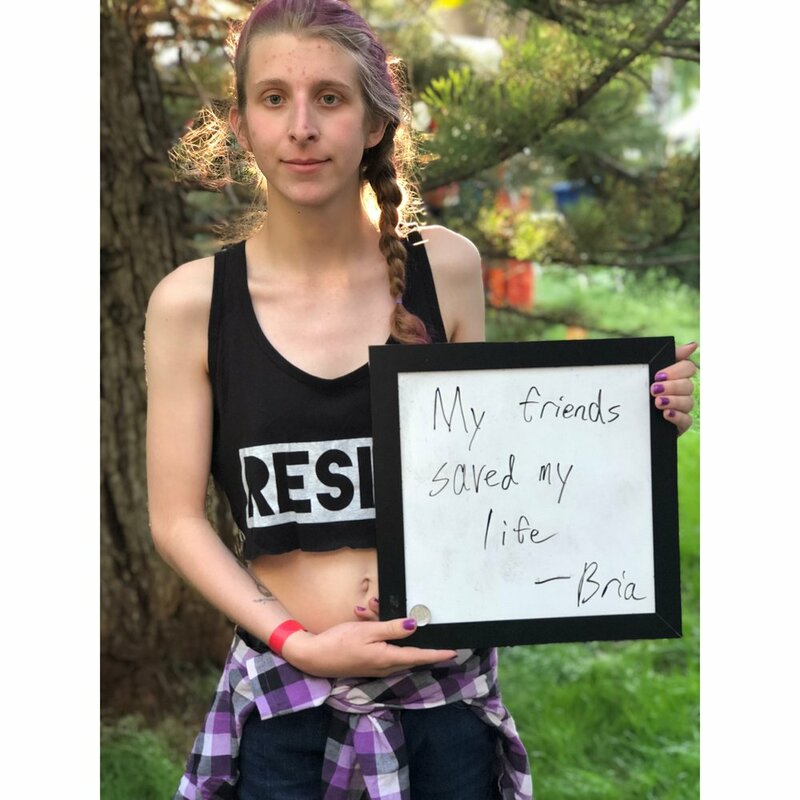 We asked people to think of a moment in their lives when they felt accepted by a person, a community, or an event, no matter what or how, for who they are, without judgment. 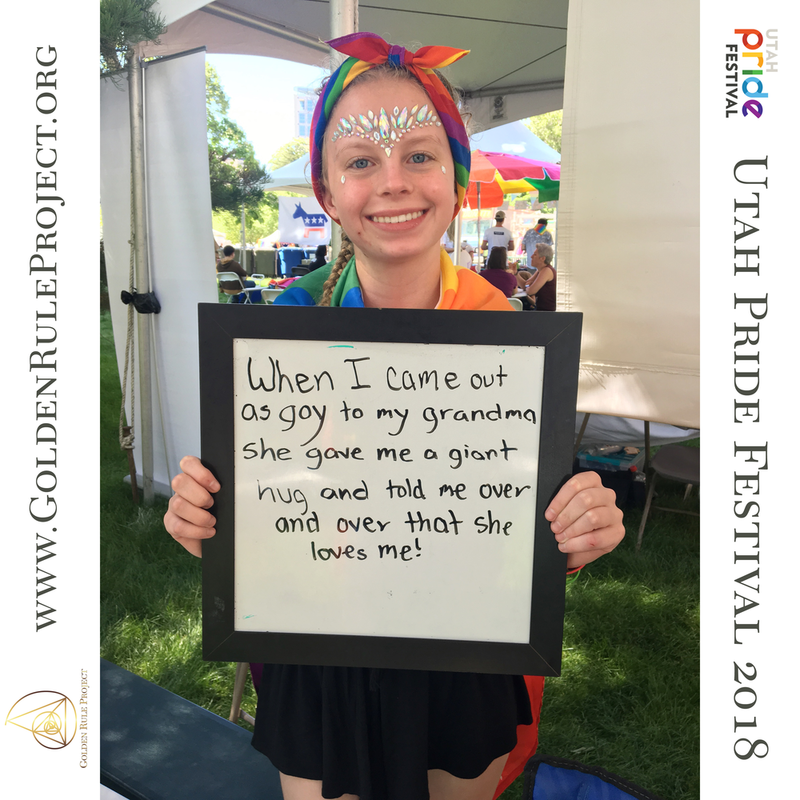 Speaking from personal experience, being part of the LGBTQIA+ community is a wonderful thing. We are all united by many things, including experiencing that moment when we realized we were different from the norm. That who we like or feel attracted to is different from the general societal consensus or what we were taught in many ways, implicitly at times. 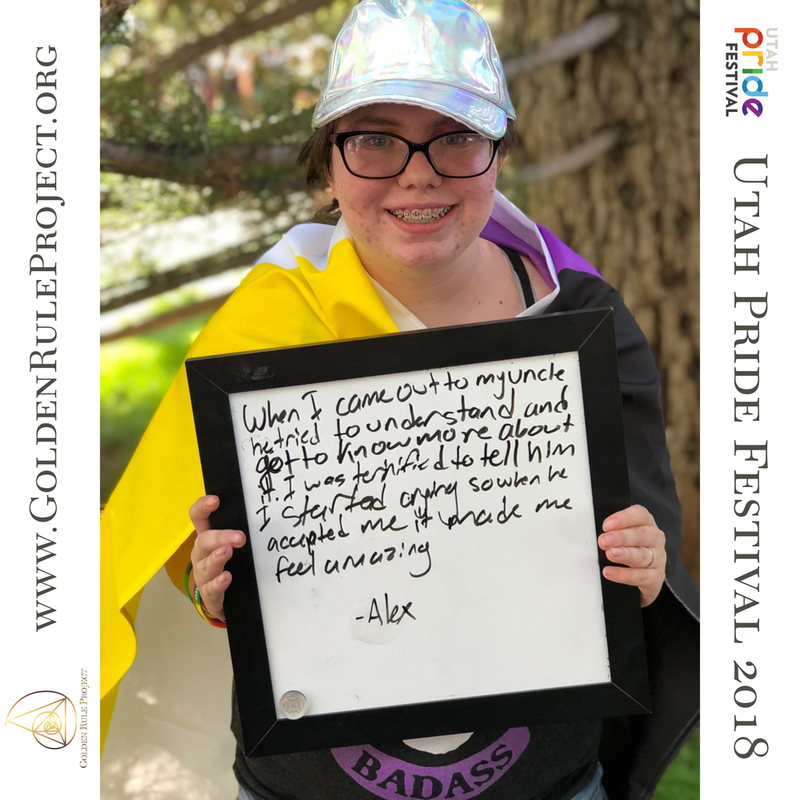 The coming out moment that most LGBTQIA+ people have to face at some point in our lives can bring a tremendous amount of fear and anxiety. The stress of not knowing if you'll be and feel accepted by your family, friends, co-workers, etc. can be overwhelming. Am I going to be treated differently? Will I be and feel accepted for who I am? I am here to tell you that acceptance in this lifetime exists. Don't lose hope if you haven't found that moment of full acceptance yet. It's a human feeling we all deserve to feel and will feel at some point in our lives. If you are troubled by not feeling or being accepted, know that Acceptance is real and it exists, and you will experience it at some point. Not only Acceptance exists, but it does not discriminate. 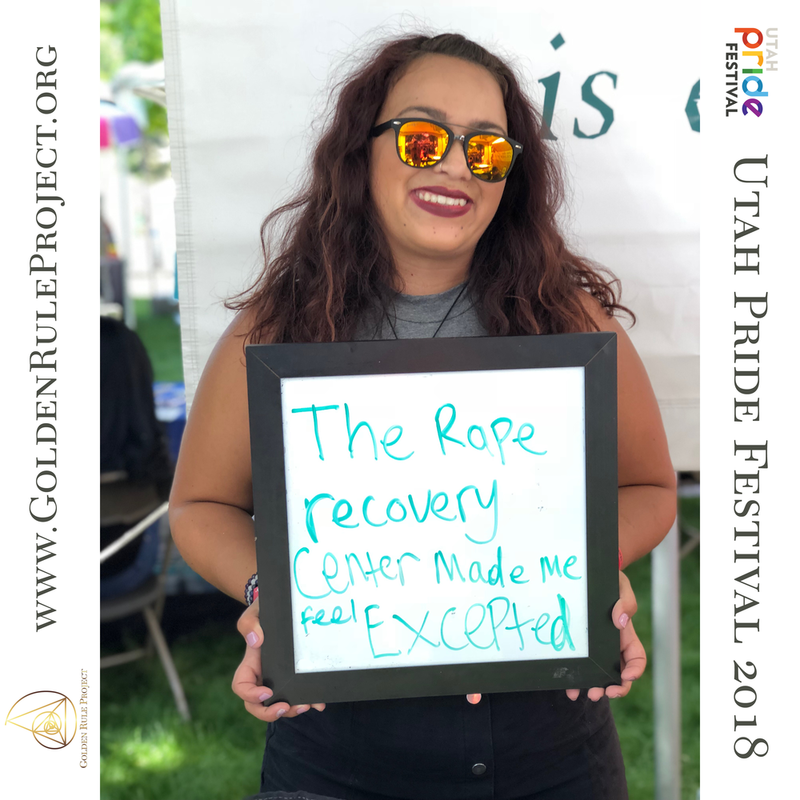 People from all backgrounds shared their stories of acceptance with us at our booth. It's so powerful to see that no matter what your background is, what you look like, what you believe in, who you are attracted to, where you come from, etc - the stories collected are all incredibly similar and relatable. Guess why...! We all need to breathe, and eat, and drink, etc. This human experience as different as it can be from one human to another is at the same time, the same. We are all living. We might face incredibly different situations and scenarios in our own personal lives, but we are all living creatures made out of the same atoms. Remember this concept when you are on the street, at a grocery store, or at a restaurant and you see someone that looks polar opposite to you, remember that that person is just like you. That person has his/her happy moments, struggles, likes and dislikes, just like you, me, and every other human in this planet does. Why become polarized when we can unite instead? My hope is that we may stop thinking of us and them, and start thinking of us as one. Thank you to all that participated performing acts of kindness, creating art with the salt circles, coloring cards, and sharing stories and memories. It was a privilege to hear and immortalize your stories of acceptance. It is a joy to be able to share them and spread more kindness, compassion, and love to us all. The pictures we took are all at the end of this post. They are also available on our Facebook page in case you would like to tag or be tagged in the photos. A big thank you to our incredible volunteers that helped us out enormously. Thank you. Know that you made an impact. 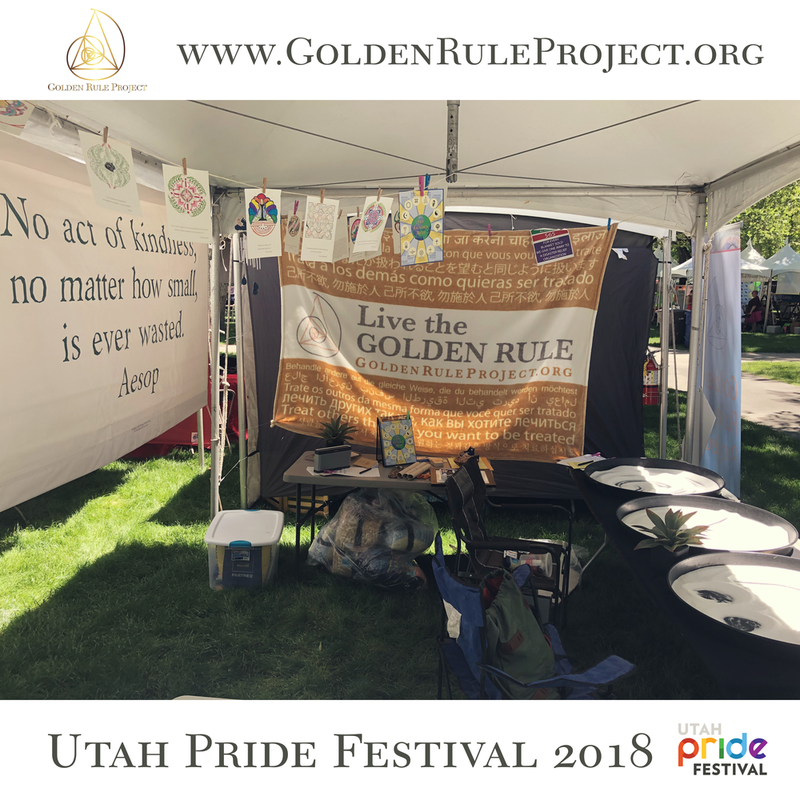 Thank you for helping the Golden Rule Project create a memorable moment for those that visited our booth. I'm truly grateful for this human experience, and I'm humbled every time I think of us as one. It's liberating and empowering, and it allows me to feel lighter and more positive about my own human interactions and reality. Remember to live the Golden Rule. It is in our capable hands to create more loving, accepting, and compassionate communities to which we belong. It's all on us. We'll be at the Downtown Farmer's Market on July 8th, and then in September we'll be at Logan Pride, Avenues Street Fair, and the 9th & 9th Street Festival. If you think we should bring our booth to another festival/fair, let us know. We'll be glad to check out more opportunities to spread the Golden Rule.